Jim Weber runs LostLettermen.com, devoted to keeping tabs on former players and other bits of nostalgia. Today he reminisces on the simple, forbidden pleasures of the fumblerooski. Even in the age of the spread, the Wildcat and Boise State's bottomless bag of big-game tricks, there's one gimmick we haven't seen in college football for almost two decades, and won't see anytime soon. In fact, the last time most people saw it was in the 1994 movie "Little Giants," where it was affectionately dubbed the "Annexation of Puerto Rico." (Technically, it was also in Adam Sandler's remake of "The Longest Yard," but really, who saw that?). But by any other name, college football's long lost pinnacle of deception just isn’t as sweet. 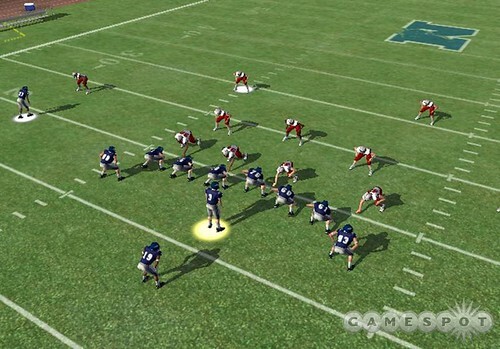 Of course, we're talking about the "fumblerooski." Here's a quick nuts-and-bolts refresher: When the ball is snapped, the quarterback intentionally fumbles it forward, leaving it on the ground at the feet of one of his offensive linemen, completely unprotected while most of the offense sprints to one side of the field in what appears to be a stretch play. After the defense has taken the bait, an offensive guard who stayed at home scoops up the ball and sprints the other way in his best impression of a charging wildebeest. Steinkuhler's 19-yard rumble changed the momentum of a burgeoning Miami rout, putting Nebraska on the track to the infamous two-point conversion attempt that would have sealed Osborne's first championship with the score at 31-30 with less than a minute to play .After its success on national television, coaches everywhere began falling all over themselves to out-rooskie one another throughout the next decade. 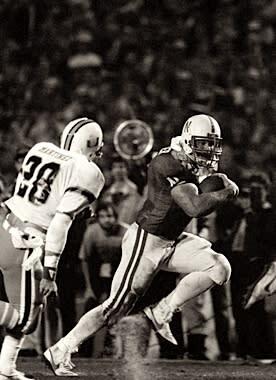 Oklahoma ran it successfully in the 1988 Orange Bowl – also against the Hurricanes – and Bobby Bowden pulled out the famous "puntrooski" against Clemson the following season. Arizona used it to upset both Illinois and USC in 1990. Nebraska pulled it out again with All-American guard Will Shields in a 1992 romp over Colorado. The heavy risk didn't always lead to reward. 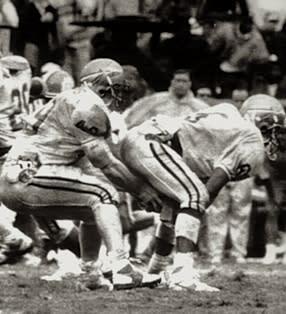 Florida State ran a fumblerooski while leading Auburn by seven in 1990. The Tigers recovered and went on to win (oops). Banned from the NFL since the early 1960s, the NCAA finally had enough after the 1992 season. Complaining that officials had a hard time telling if the snap was legal, a new rule outlawed "a planned loose ball in the vicinity of the snapper" to the chagrin of fans and writers everywhere. While teams have since run interpretations of the play - such as Northwestern's failed trickery at the end of the Outback Bowl in January – nothing comes close to the unexpected charm of a 300-pound lineman barreling downfield. Arkansas and Texas both attempted a variation on the "puntrooskie" in 2006 based on hiding their smallest players behind the line, with varying success and only a fraction of the whimsy. Fans thought they'd found a loophole in the rule in 2007, when former NFL ref Jerry Markbreit wrote in the Chicago Tribune that he considered the funblerooski legal as long the ball was placed behind the quarterback instead of in front. Sadly, NCAA spokesman Cameron Schuh says this would still be ruled illegal in the college game. But all hope is not lost. Boise State head coach Chris Petersen has said in the past the fumblerooski would be in his playbook if it was legal, and technically, it still is. SEC head of officiating Rogers Redding (go ahead, insert joke about SEC officiating here) said the play would be legal if the quarterback was not under center when the ball was snapped, although running the fumblerooski out of the shotgun would be impossible. Even running it out of the Pistol formation – in which a quarterback lines up about three yards behind center instead of six, and could better hide the ball from the defensive line – would still be considered crazy. So crazy it just might work? We can only hope. Jim Weber is the founder of LostLettermen.com, an historical college football and men's basketball site that links the sports' past to the present.